Horizon: Zero Dawn has been considered by many to be one of the top video game releases of the year, and one of the hottest PS4 exclusives to have hit shelves in 2017. It has sold millions of copies to date, meaning quite a few players have enjoyed the game’s third-person action in a post-apocalyptic world. 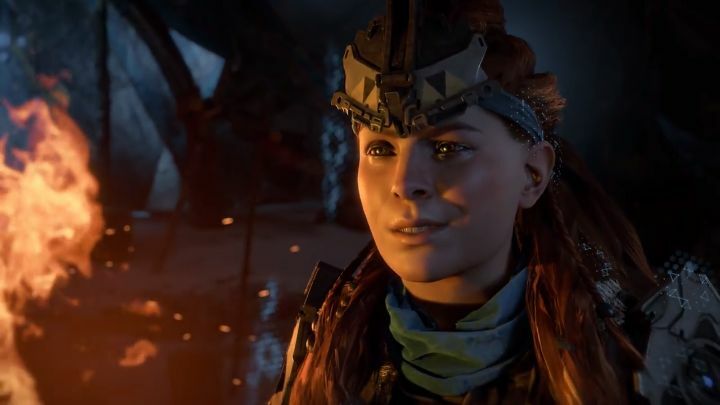 And those who can’t get enough of Horizon: Zero Dawn are in luck, as Sony has announced that the game will be getting additional content in the form of a DLC expansion this fall. This DLC is titled “The Frozen Wilds”, and will feature a new setting, story and new robot dinosaurs for you to defeat and scavenge for parts. The Frozen Wilds sees protagonist Aloy travelling to the chilly north in order to unveil a new mystery and fight new deadly creatures. And judging by the trailer below, this looks like it will take place in Yellowstone and its environs, as the Grand Prismatic Spring can be seen in the DLC’s trailer below as Polygon points out. So, will this new DLC for Horizon: Zero Dawn deliver the same thrilling action and adventure that made the original such a blast to play through? Hopefully it will, and turn out to be a great expansion for what clearly is one of the year’s top games so far. Note: The Horizon: Zero Dawn ‘The Frozen Wilds’ DLC will be released on November 7, 2017. Available on PS4.